Limotek.co.uk covers limo hire in Kent which is a county in the South East of England, with Maidstone as its county town. Stretch limos in Kent have become very popular in recent years and there are now many fantastic limousines are available for hire such as massive Hummers, beautiful Chrysler C300 Baby Bentleys, Range Rovers, stretch Porsche Cayennes, Fire Engines and many more. 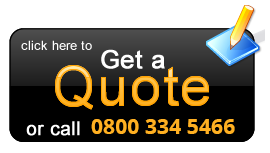 Contact us today to get a quote for the best stretch limos in Kent. Often referred to as the Garden of England, Kent is a beautiful county full of lavender fields, orchards and vineyards. As well as amazing landscapes, Kent is also home to leading edge galleries and theatres and a fantastic nightlife. Amazing limousines in Kent are now available for hire for any occasion e.g. the traditional stretch Lincoln Town Cars are ideal for going to the theatre and a huge 20-seater Hummer is great for a night out clubbing. Whatever your reason for hiring a limousine in Kent, Limotek will be able to provide the right limousine for you. There are many reasons for stretch chauffeur hire in Kent and at Limotek we believe there is a limousine available to suit any occasion. Pink limo hire is great for hen nights, the pink Hummer and fabulous 6-wheeler pink Lincoln Navigator both being ideal. Huge American limousines such as black Hummer H2s are usually the choice for stag nights. The Baby Bentley limousine seems to be the popular choice for wedding limo hire at present although we have some amazing wedding cars also available for hire in Kent. In addition to the above, Limotek also covers airport transfers to nearby Gatwick and Heathrow airport, corporate events, birthdays and school proms in Kent. Book early and you're likely to get a fantastic deal. 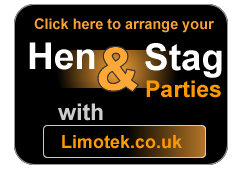 Contact Limotek today for the best limo hire prices in Kent. We cover stretch limousine hire in all areas of Kent including Ashford, Canterbury, Dartford, Gravesend, Maidstone, The Medway Towns of Chatham, Gillingham and Rochester as well as Royal Tunbridge Wells, Sevenoaks and Swale and the coastal towns of Deal, Dover, Margate and Sandwich. To rent limousines from anywhere in Kent, contact Limotek today. Limotek has conducted extensive research to find the best limousine companies and the finest limos in Kent. Our operators in Kent are second to none and will always go the extra mile to make your occasion a very special one. Because of our superb relationship with our limo companies, we can get you some great deals at low prices, so for cheap limo hire in Kent, contact us today.